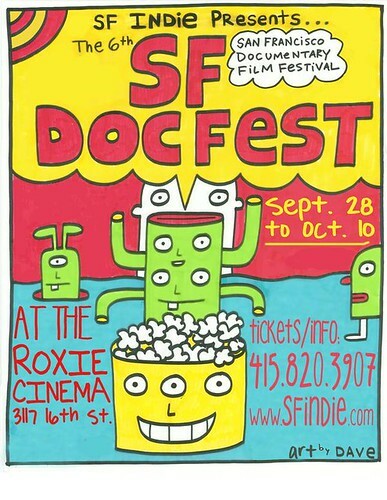 SF DOCFEST poster, originally uploaded by DAVe Warnke. DocFest opens tonight with What Would Jesus Buy? with an appearance by Rev. Billy (former San Francisco resident Bill Talen) at the Roxie (where all the films will be shown this year). One of the most interesting documentaries playing this weekend is wtf: an okaymentary, a profile of the OkayPlayer online community. It is co-directed by Leslye James who will be at the screenings at 5 pm on Saturday, September 29th and Sunday, September 30th. I'll be going to screenings and posting and taking photos over the next 13 days.